Lenovo is a Chinese company that bought the IBM hardware brand last year as well as the trademark for ThinkPad notebooks. The Lenovo ThinkPad X41 is the company’s leading ultraportable design so it comes as no surprise that it has been used as the basis for this take on the Tablet PC. Tablet PCs have had a bad time in the press, mainly as they haven’t lived up to the early hype surrounding them. However, if you approach this machine as a standard notebook but with even extra functionality, then you’ll be closer to appreciating how useful the format is. The Lenovo ThinkPad X60T marries the best aspects of a laptop and a pen-based device. With new screen options, hardware capabilities and an improved sensory experience interacting with the tablet, Lenovo’s ThinkPad X60T is a leading light in the tablet PC market. The system is extremely well built and the keyboard is very comfortable considering its size. The choice of XGA or SXGA+ MultiTouch displays allows you to save money if necessary, and port selection for an ultraportable is superb. 94% Ein Tablet-PC im Convertible-Format vereint Sub-Notebook und Notizblock. The Thinkpad thinkpad X61s came in late, but its performance was convincing. It closes the gap between notebooks with ULV CPUs and the performance flyer Samsung P200-Pro. It succeeds in walking the tightrope between weight and performance, offering more performance than the ULV group, but it is lighter http://en.wikipedia.org/wiki/Lighter than Samsung and HP while offering similar battery life. Lenovo is known for making some of the best business notebooks money can buy, and the ThinkPad X61s continues this proud tradition. This sub-4lb. notebook is packed to the gills with next-gen technology and offers surprisingly blazing performance, impressive battery life and loads of useful features. Though its thin-and-light stature is not for everyone, and the optional dock is required for full functionality, the X61s is a road warrior's dream come true. Thin-and-light notebooks have always been about compromise, due to their small size, but Lenovo has done a commendable job of getting around those compromises by offering the docking station and extra batteries. This is a notebook that does not compromise on performance one iota, as it’s very fast, which is surprising to see (and feel) on a notebook of this size. The X61 is Lenovo's Santa Rosa update to their renowned ThinkPad X series of ultraportable laptops. The X series is synonymous with usability and toughness while on the go. 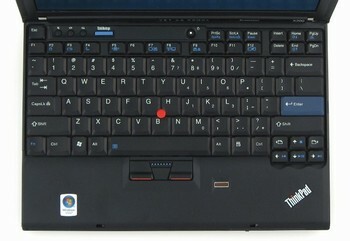 There are two versions of the ThinkPad X61: the X61 and the X61s. The notebooks are almost the same, save for the CPUs. 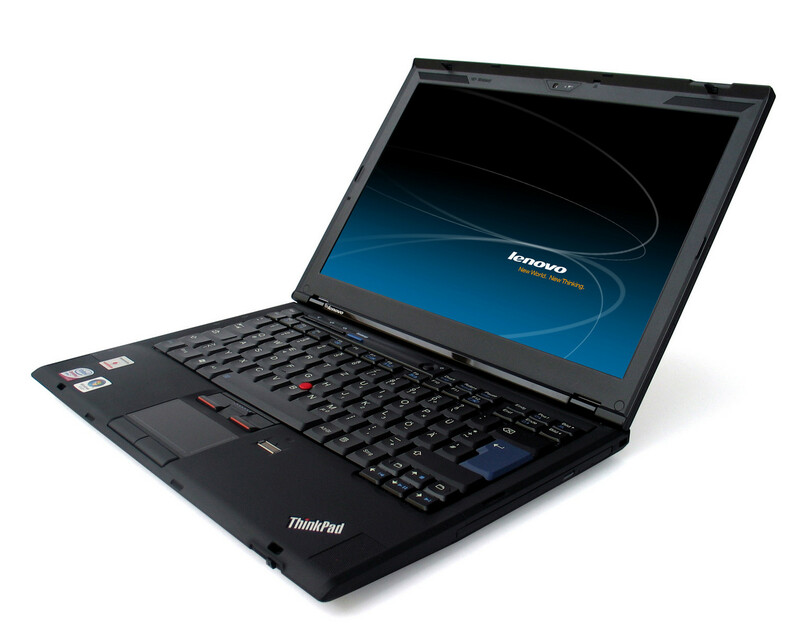 The X61 uses the full power Core 2 Duos while the X61s variant uses the low power versions of the Core 2 Duo. In general, the X61 will offer a bit better performance while the X61s will have better battery life. This review will focus on the low power X61s. The X61s has been a nice contrast to my R60. I like my R60 a lot, but at times it seems heavy to me. When I get my next notebook, I might go with something smaller like this X61. After having spent some time with the X61s, I can see why people have such enthusiasm for the X series and why it is often so well reviewed. If you are a person who needs a lot of mobility or just want a small notebook, the X61s makes a compelling argument. One of our favorite ultraportables just got a power boost. Like its predecessors, the ThinkPad X61s ($2,228 as configured) boasts a rock-solid design (view our photo gallery), a best-in-class keyboard, and enough security features to make the most seasoned hacker ponder retirement. Striking a very good balance between performance and battery life, the X61s is a highly recommended ultralight business notebook. The good: Solid performance, thanks to the latest Core 2 Duo processor; extremely portable design; excellent keyboard; fingerprint reader; easy-to-use ThinkVantage utility; lengthy battery life with extended battery. The bad: Lacks built-in optical drive; standard-aspect display feels outdated. The bottom line: The ThinkPad X61s provides excellent dual-core performance in a lightweight, compact package that's still comfortable to use. 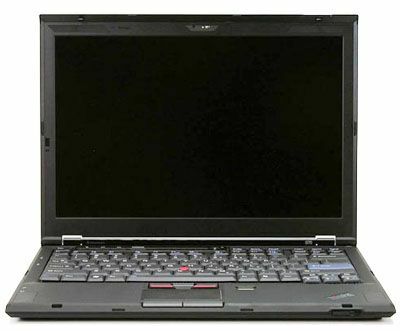 It seems entirely appropriate that there's a comprehensive guide to the Lenovo range of ThinkPad laptops on Wikipedia, because the list is simply enormous and we mere mortals need all the help we can get to navigate ourselves to laptop bliss. IBM built up the ThinkPad brand by offering businesses a huge range of choice so they could have the exact list of features that they wanted and Lenovo, the new owner of ThinkPad, has very sensibly followed this business model. 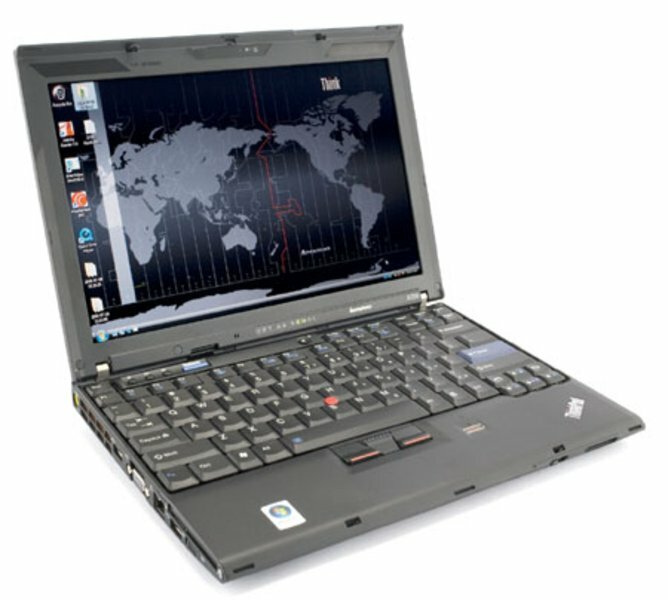 As a laptop the X61 has relatively low performance and costs a small fortune, especially considering the lack of optical drive. But the build quality and engineering are second to none and this shines through with the Tablet features which have been executed with something close to genius. And did we mention that it's very expensive? 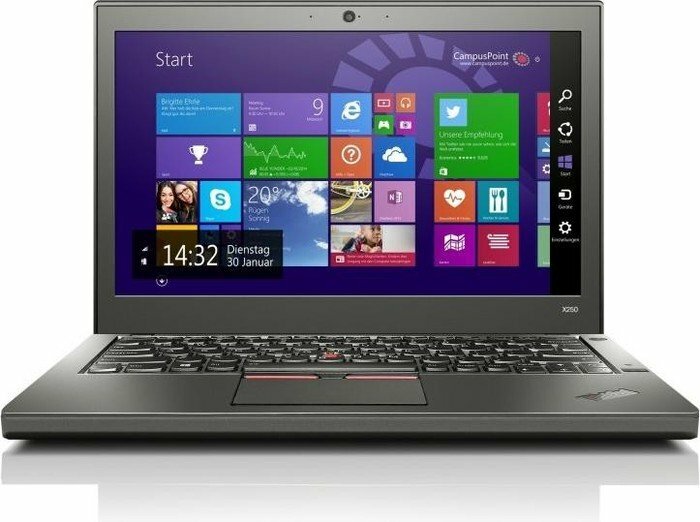 The Lenovo ThinkPad X61 12.1” ultraportable notebook was released by Lenovo this year as a replacement for the X60. The X61 provides a nice chipset, processor, and graphics refresh to the X60 with the adoption of Intel’s GM965 Express chipset which features the X3100 integrated graphics adapter. In addition, optional features such as integrated Wireless WAN connectivity, turbo memory, and fingerprint security enhance the X61’s functionality. 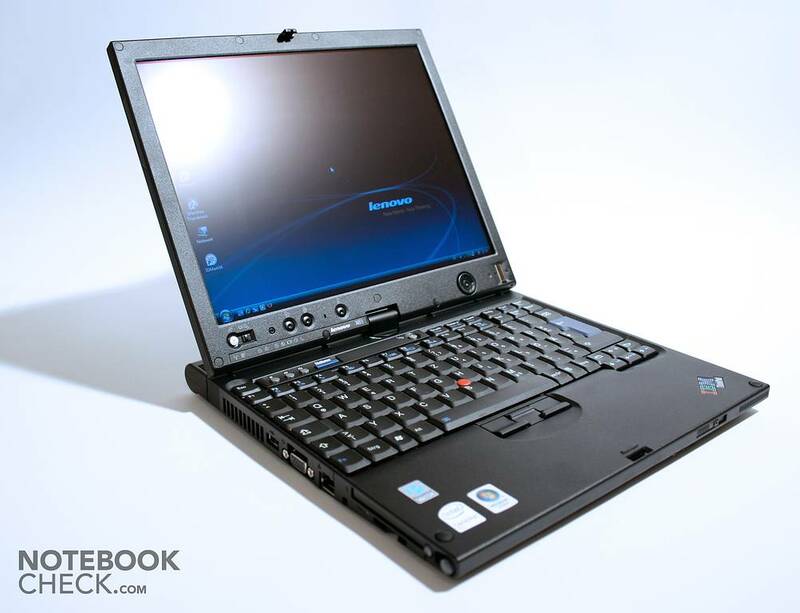 There are a few models in the X61 family, and this review covers the plain vanilla X61 12.1” notebook model. 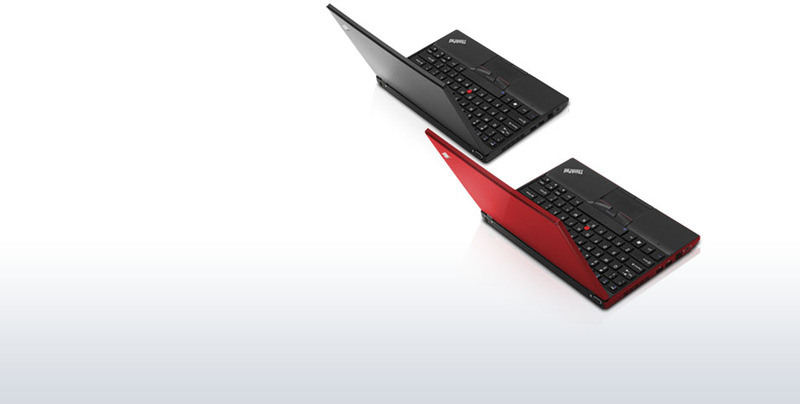 The X61 family also features a tablet pc convertible notebook and an “ultimate battery life” X61s ThinkPad. Battery life with the 4 cell battery has not been great with real world tests being between 1 hour 40 minutes and 2 hours 22 minutes depending on the power setting; the X61’s power manager is great at selecting which profile to use to lengthen battery life. These days, convertible tablet PCs are showing up as more than just a blip on the radar. They've been widely adopted in the vertical markets, and students are embracing them. Lenovo (formerly IBM) has long been a leader in the convertible tablet PC space. In the ThinkPad X61 Tablet ($1,934 direct) Lenovo continues to fuse the design of its darling X-Series ultraportable (see ThinkPad X60s) with the tablet's functionality. With the best keyboard in the industry, very good performance scores, and a sturdy design, the X61 Tablet earns an Editors' Choice award to set beside Lenovo's previous one in this space, the ThinkPad X41 Tablet. While it's clear that convertible tablets are picking up traction, the penetration hasn't been at the level of some of the more popular laptops. It could be that consumers haven't yet grasped the idea of using a digitizer pen on a laptop. Maybe the price premium is putting off potential customers. Today's notebook PCs tend to fall into two categories; those you can carry around with you, and those likely to give you a hernia. Lenovo's Thinkpad X61 sits firmly in the former camp. Weighing just 1.63kg, this ultraportable is the perfect travelling companion. Interestingly, this model is the first we've seen without the old IBM badge. While it isn't built like a tank, the X61 is undeniably well made. The back of the 12.1in screen seems a little flimsy but, on the whole, the magnesium alloy chassis is certainly up to the rigours of day-to-day travel. The keyboard also has a good, solid feel to it, but when typing at speed we kept catching our fingers on Lenovo's pointer control. This is an acquired taste and anyone used to a touchpad will surely end up plugging a mouse into one of the system's three USB ports after more than 10 minutes. The Lenovo ThinkPad X61 uses Intel's Santa Rosa mobile processor. Otherwise, it's the same light, sophisticated ultraportable laptop PC as the earlier model; like the Lenovo X60, it lacks an integrated optical drive but offers dazzling battery life. This 1.6kg X-series member goes to the top of our list of ultraportables for mobile professionals. Our Lenovo ThinkPad X61 test unit, with a 2GHz Core 2 Duo T7300 processor and 2GB of DDR2-667 SDRAM, earned a WorldBench 6 Beta 2 speed score of 75, which is tops among currently tested ultraportable PCs. The extended-life four-cell battery is excellent. The UltraBase docking station adds four more USB ports (for a total of seven) as well as legacy parallel and serial ports. In addition, the modular optical drive has a side release, so you can swap with one hand between an optical drive, a second battery, or a second hard drive (those are optional accessories). Lenovo supplies its X series ThinkPad as a regular laptop and also as a reversible Tablet in both X60 and X61 variants, so that's four basic models, but there are so many options and variants that it's almost impossible to list them in a tidy way - but we'll give it our best shot. Every X61 uses the Intel 965G Express chipset with ICH8-M and you then choose your processor speed. Our review sample uses the 1.6GHz Core 2 Duo L7500 processor, or you can go for the 1.4GHz L7300. It runs Windows Vista Business without the Aero interface, but you can also choose from Vista Ultimate, Vista Home Premium, and XP Tablet Edition. You'll recall that Vista includes Tablet and Media Centre features. We got a 12.1in MultiView screen with 1,024 x 768 resolution, rather than the brighter 12.1in Super-Wide Angle screen with the same resolution, or a widescreen 12.1in screen that displays 1,400 x 1,050 pixels. Though the optical drive is not integrated, everything else about this business portable is top-notch, especially battery life. Our review unit, which included an UltraBase docking station with a dual-layer DVD burner, costs $1724 (as of July 27, 2007). The great performance and features, and its reasonable price, make the X61 our current top choice of ultraportable. I found the ThinkPad X61 to be a fantastic alternative to my larger 15” T60 in situations that I didn’t want to lug around the heavier machine. It had all the grunt of the much larger machine, but inside a much smaller package. I was also surprised by how easy it was to upgrade the ram in the X61, by removing a access panel on the bottom of the laptop. Thinkpad Air. As slimmest and lightest ever model in the Thinkpad series, Lenovo shows off its most recent creation. The initial hype surrounding the compact notebook was only further heightened by the near simultaneous introduction of the MacBook Air. In complete contrast to the slick but air-headed Apple, Lenovo stayed down to earth with the business competence provided by the Thinkpad X300, particularly in terms of its extensive communicative capacity. But the X300 is worth the extra cost. Fantastic battery life and superb ergonomics all combine to produce the best business laptop money can buy. Ultraportable notebooks usually ­sacrifice a lot to keep their slimness and stay lightweight, but the X300 is really in a class of its own. In fact, we would really like to give the X300 full marks but the lack of some features are just too glaring, ­especially the must-have card reader. Still, if you are willing to look past some of the drawbacks, the X300 is an ideal choice for road warriors who are looking for the ultimate thin and light notebook without sacrificing much of the features they need to be productive. Finally, the X300's light weight doesn't indicate a wimpy battery pack as with some slimlines. The supplied six-cell battery lasted a good four hours during a multimedia-heavy DVD-viewing and music-playing session, while a less demanding word processing marathon stretched to five hours. So what do we mean by best notebook ever? Simply the best-engineered, most desirable, thin-and-light-without-compromises laptop we've seen in many long years of testing, reviewing, and not infrequently buying. Out of all the PCs that have occupied the Labs, Weather, & Sports Desk, the ThinkPad X300 is the one we most hate to send away. It may not be a total reinvention, but this is a stunning and versatile laptop. Lenovo's ThinkPad range is aimed at business users and the X300 (£2139 inc. VAT) is the latest flagship model for the mobile professional. This ultraportable laptop comes with a built-in optical drive, good-sized keyboard and, more importantly, a battery life that actually meets the needs of the mobile worker. Weighing 1.6kg, this is as portable a machine as you can expect from a two-spindle chassis. It has an overall depth of 28mm, which considering you'll find a DVD rewriter built into the case as standard is something of an impressive feat. The ThinkPad X300 is an expensive piece of kit but it’s a superb laptop that is well worth the asking price. Yes, it costs the best part of two grand. Yes, that is a very high price, but you really ought to get your hands on an X300 for a test drive. If you do, you won't want anything else. Lenovo has given Apple an object lesson in how a thin and light notebook should be designed and constructed. The ThinkPad X300 is stuffed full of cutting edge features, is svelte and light enough to be carried around every day and boasts the sleek, minimalist looks that ThinkPad users love. It may be expensive, but this is a truly great notebook to use - the keyboard is first rate, the solid state drive makes for very swift operation, while you also get all the connectivity you could ever want. If there's one thing that lets the package down, it's the uneven lighting on the LED backlight screen - it's not awful, but it's not up to the standard of the rest of the machine. If it wasn't for the screen issue, the ThinkPad X300 would have grabbed Editor's Choice, but as it stands it gets a resounding Recommended award. There has been a great deal of interest in ultraportable notebooks recently. Whether it's the budget Asus Eee PC or the design-led Apple MacBook Air, they keep grabbing the headlines. Now, we have Lenovo with its latest high-end business ultraportable. If you have the money to afford it and are looking for an ultraportable that lacks nothing, this is a great machine, delivering on battery life, usability and performance. The system we evaluated retails for $3258 as equipped and that price can be much higher with some optional features and service plans. What you get for that price, however, is a well equipped, ultra portable system with cutting edge technologies. 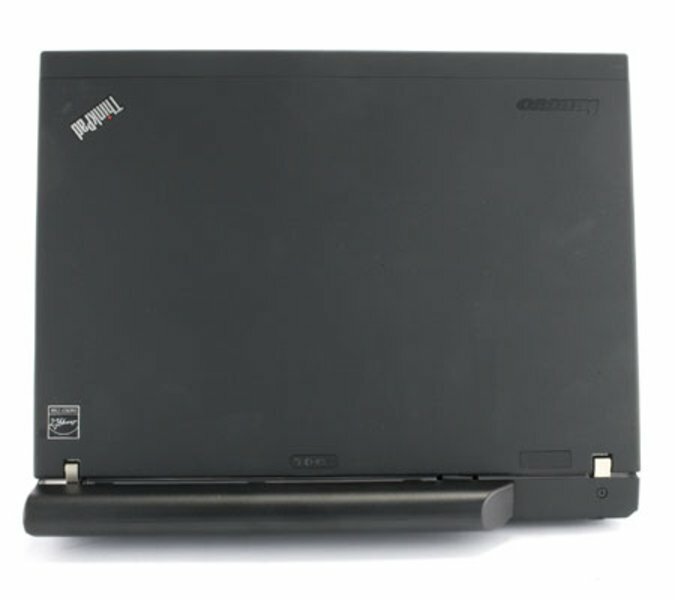 In the end, we found the Lenovo ThinkPad X300 system to be an excellent product, that requires a significant investment. But when you consider what you get for that price, a strong argument can be made that you do get what you pay for. With great mobility, comes great costs it seems and we're not just talking about costs in the monetary aspect only of course. Performance compromises like a slightly slower processor and the integrated graphics all add up along with the actual monetary cost of the notebook. The 13.3-inch LED screen didn't live up to our expectations either, being somewhat splotchy and dim when we tested it though the 1440 x 900 resolution does count in its favor. If you stop and think about it, the MacBook Air actually gives slightly more value per dollar spent (plus you get lots of attention) compared to the X300 once you factor in the peformance. The Air comes with a proper Core 2 Duo processor, not the low voltage power saving processor that the X300 is using and still runs longer than the X300 on its 3-cell battery. What the X300 lacks in processing power however, it makes up with the slimmest DVD drive we have seen so far and more connectivity options compared to the Air, which does make X300 much easier to use. Lenovo's X300 is an incredible machine for the high-powered businessman. It's a powerful yet understated, efficient yet effective laptop with an unbeatable set of connectivity options. The battery life, while not quite the 10 hours claimed, is tough to replicate in the real world. The ability to swap out the ultrathin 7 mm optical drive for a 3-cell battery is a welcome option that can be a lifesaver in the right situation. Although the sticker price of nearly $3000 can dissuade potential consumers, we can honestly say that if you need what the X300 has, you'll be hard pressed to find a better deal. Lenovo is even touting the X300 as their "greenest" laptop ever, pointing out the energy-saving solid state drive and LED backlit display, as well as the lack of mercury in the screen. For those keeping score it received an EPEAT gold rating, meets the European Union's Reduction of Hazardous Substances standards, and is Energy Star 4.0 qualified. I'm sure some crafty accountants can make use of that information come tax season. Potential owners of Lenovo's X300 would receive a fully-functional notebook in a small and compact device. The quality is top-notch, and the only significant drawback is the notebook's final price, which is not as unusual with exclusive laptops such as this one. All we can say at the end is that we are rather disappointed that we cannot afford ourselves a PC like this one, which is slightly less than 3000$. Lenovo's buttoned-up Thinkpad X300 ultraportable notebook computer may not have the Apple MacBook Air's superslim Spartan style, but after firing up the X300, it's hard to not love this laptop. From rock-solid construction to piled-in perks, the Lenovo ThinkPad X300 is a biz-centric beast that provides just about everything that matters to the modern road warrior. While it does cost a fair amount, the Lenovo ThinkPad X300 proves that you can cram everything you need into a tiny package. For those looking at the most flexibility out of their ultraportable system, the Lenovo ThinkPad X300 is certainly the notebook of choice. It provides a wide range of features that can make this an excellent secondary or even a primary notebook computer system. Of course, the high base price will deter many people from considering it. The ThinkPad X300 is a premium product that's worth the price if you need the features it offers. The X300's excellent portability, abundance of wireless options, built-in optical drive, SSD advantage, great screen, fantastic keyboard, and second-to-none build quality all add up to a notebook that's easy to recommend to business users who consider a notebook to be an important part of their success with work. It's certainly not the right notebook for everyone, the 64GB storage limit, under powered processor and high price immediately eliminates most consumers from even considering the X300. We would have like to have seen such things as an SD card reader, docking capability and an ExpressCard or PC slot. You can't have it all though, and the ThinkPad X300 is much more practical than the pretty but port challenged MacBook Air, and so the X300 gets the Editor's Choice recommendation that we couldn't rationalize giving to the MacBook Air. Bravo to Lenovo, and we hope that they push this 13.3" slim form factor more and find ways to bring the pricing down. Surprisingly, the choice between the MacBook Air or the X300 should be an easy one for most buyers, and it’s a decision that comes down to the way you work. The Air is better suited for users that don’t often stray too far from their desks and want the thinnest, lightest, sleekest notebook they can find. However, if you often use an optical drive on the road, find yourself usually swapping in an extra battery, or tend to connect multiple peripherals and would prefer not to deal with an external hub, the X300 is for you. You’ll pay for the extras (the SSD, wireless USB, GPS, and so on) with the X300, but if effortlessly carrying all the features you need is important, Lenovo’s ThinkPad X300 is worth every penny. With the ThinkPad X300 (about $3,000 street), Lenovo is out to prove that the Apple MacBook Air is not the only laptop that can fit snugly into a manila envelope. Granted, it's a tough act to follow and frustrating, too, especially since the ThinkPad X300 was being developed at the same time as the MacBook Air. It will make a huge dent in your company's budget, but the Lenovo ThinkPad X300 has a lineup of features that eclipses those on the Apple MacBook Air. We're not even two months into the new year, and we've already seen Apple's remarkably slim MacBook Air and Toshiba's update to its featherweight Portege R500. The ThinkPad X300 breaks new ground by packing a broad display, full-size keyboard, and nearly every feature a mobile user needs into a sleek, lightweight case. As of this writing we've only had the ThinkPad X300 for a few hours now so once the honeymoon is over we're sure there will be more to complain about, but right now it's a big thumbs up on this piece of engineering from the ThinkPad labs. Key things we'll want to find out is how the battery life holds up, how the heat is when under stress, whether installing a bunch of applications slows the performance down and how such extra features as the camera and GPS work out. Stay tuned for the full review next week. We'll also do a comparison of the X300 to another notebook you may have heard of called the MacBook Air from Apple. We're huge fans of the X300. Sure, it has its foibles and it won't be the right choice for everyone. And, call us demanding if you like, but we'd have liked to see another hour of battery life from the three-cell battery. But, unlike the MacBook Air, it doesn't sacrifice usability to hit a certain weight. In fact, unlike the MacBook Air, it's clearly been designed with usability rather than marketing in mind. The keyboard is simply fantastic. The screen, while not perfect, offers an ideal resolution for the target user: the professional on the road. Build quality is superb and, though it won't rival a desktop PC for speed, it's more than fast enough to be used as an everyday computer. There's even room for a little after-hours entertainment. This kind of laptop is never going to be cheap, and the X300 isn't either. But you're paying for some incredible design and a low, low weight. When Lenovo releases models with mechanical hard disks and lower prices, it will become an even more attractive choice. And, if you don't need the benefits of solid-state technology, wait for the new models. But if you're after the last word in reliability, usability, quality and portability, your money won't be wasted. Still, $1,689 is the cost of entry for the multitouch X200 Tablet, and you’re getting a sturdy, reliable machine that’s all set for what we keep getting told is the next phase in finger-control. How relevant that is to you depends very much on what you plan to do with your notebook, of course, and though we’d argue multitouch makes more sense on the X200 Tablet than it does on the T400s, it’s still taking a niche device into an even narrower market. Adding multitouch, Windows 7, and faster processor options to the original ThinkPad X200 Tablet makes this system even more compelling than before, and its $2,075 price makes it even more of a bargain. While it’s a bit bulkier than the Dell Latitude XT2, the extra mass is a worthy compromise given this ThinkPad’s longer battery life, better performance, and lower price tag. We can imagine executives, physicians, and other mobile professionals walking around with their X200 Tablets in portrait mode, and using the incredible handwriting recognition and enticing multitouch gestures to take notes, surf the Web, and work on important projects. As we found in our testing of the Lenovo ThinkPad T400s Multi-Touch, the advanced touch-screen abilities built into the Microsoft Windows 7 operating system are a welcome convenience in a traditional clamshell notebook. But touch is absolutely essential in a tablet, so we were eager to get our hands on the Lenovo ThinkPad X200 Tablet Multi-Touch. Its new-generation panel and handy Lenovo SimpleTap utility make an already excellent tablet even better. The addition of Windows 7 and a superb touch screen make the already excellent X200 Tablet even more usable. Among 12-inch Tablet notebooks, the ThinkPad X200t stands out with its build quality and good software. Though the ULV processor can’t compete with more powerful low voltage Core 2 Duo processors that are standard on most Intel-based notebooks, it ensures light weight and long battery life. The lack of an internal optical drive can be limiting however, and adding an external drive increases cost, travel weight and bulk. The finger touchable screen looks great at max brightness and the notebook runs quiet and cool. If you are looking for an ultra-light Tablet with wide range of connectivity options, the ThinkPad X200t should be on your short list. Lenovo's laptops aren't exactly designed for those looking for cheap bargains, but if you do decide to shell out for the ThinkPad X200 Tablet PC you'll get a computer with plenty of interesting features. This is a beautifully made notebook with a stunning screen and very usable keyboard. It is small and light, and the hard drive in our review sample was easily big enough. But with no optical drive and average battery life the price seems hefty. Partner the X200 with a docking station and an external display and it can replace your office PC. Sling it in a bag and its extended battery life and light weight make it a perfect travelling companion. There simply is no better business ultraportable. Lenovo's ThinkPad range has produced some of the most versatile business machines available, and the sturdy ThinkPad X200 (£1321 inc. VAT) continues this trend. It's the first 12.1-inch ThinkPad we've seen to feature a widescreen aspect ratio, and the 1280 x 800-pixel resolution allows you to fit two documents side by side with ease. Colours are bright and easy to see in all conditions, with reflections kept to a minimum by the matt TFT finish. Graphics are handled by an integrated Intel chip. Although it lacks the style of some other machines, the Lenovo ThinkPad X200 more than makes up for it in quality and usability. 80% Lenovo ThinkPad X200 notebook Impressive ultraportable business machine? The ThinkPad X200 is a great tool for the business user on the move. What it lacks in style it more than makes up for in quality, with no need to shout about its abilities. 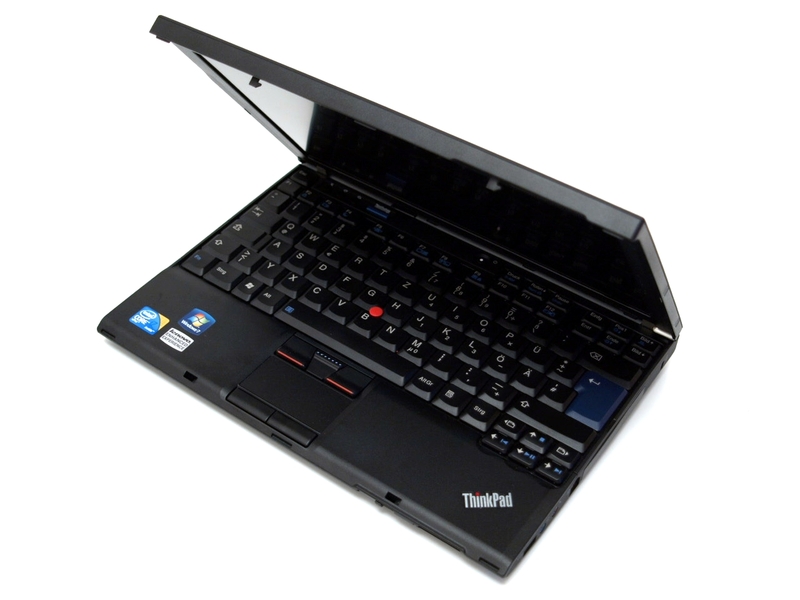 It’s also a much cheaper alternative to the larger ThinkPad X300. If you don’t mind leaving the optical drive at home, it’s well worth a look. The outstanding keyboard, impressive battery life and great mobility particularly impressed. Intel's Centrino 2 technology heralds a quiet revolution. It's brought desktop-level power to ultraportables without harming battery life, and both the X200 and the Sony VAIO Z-Series show that you can buy a 1.5kg laptop that can also be your main PC. What is surprising, however, is the price. Even though you can't yet buy X200 units, you can pre-order a well-specified one (P8400 processor, 2GB RAM and 160GB hard disk) for £950 exc VAT, while the best price for our top-end NR35TUK review unit is £1,145. We were impressed with the Lenovo ThinkPad X200 ultraportable notebook that debuted this past summer with Intel’s Centrino 2 platform, and for an encore, Lenovo has a treat for the tablet aficionados among us: the ThinkPad X200 Tablet. The Centrino 2 version of Lenovo’s excellent tablet PC delivers improved usability and performance. Lenovo's X300 is in response to those looking for a high quality Ultraportable without the extreme price of the ThinkPad X300. 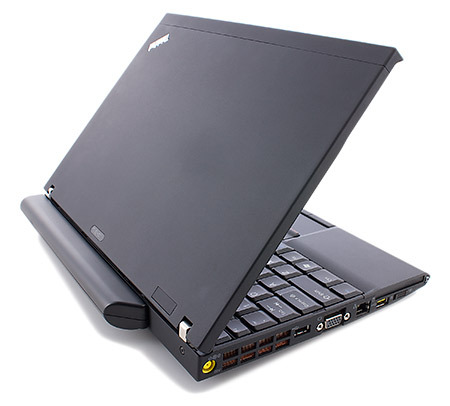 Even though the X200 doesn't feature an optical drive, the system's dimensions and weight are nearly the same as the X300. What the X200 does provide though is some of the fastest performance in the ultraportable market and at a relatively reasonable price. The Lenovo ThinkPad X200 is a remarkably good performer for its class. In nearly all of our benchmarks the X200 was able to claim the top spot. The X200's Centrino 2 platform and Core 2 Duo P8600 2.40GHz processor lends it plenty of performance prowess and it excelled as a result in all of our benchmarks. Despite being a compact little ultraportable, the X200 packs a large performance punch and we found that it performed very well in all productivity and communications tasks. 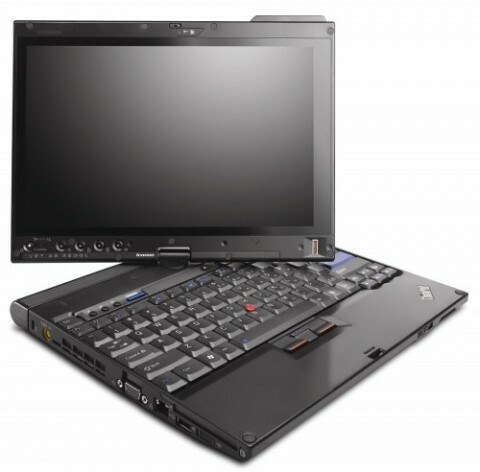 The X200 is also no slouch when it comes to multimedia. The new Intel GMA X4500 can off-load all of the major HD codecs off the CPU and decode them in hardware. It lacks some basic features you may require--touch pad, optical drive--but the 12.1-inch ThinkPad X200 offers strong performance and the longest battery life we've seen. With a variety of connectivity options and a roomy keyboard, the X200 makes a great ultraportable for road warriors. 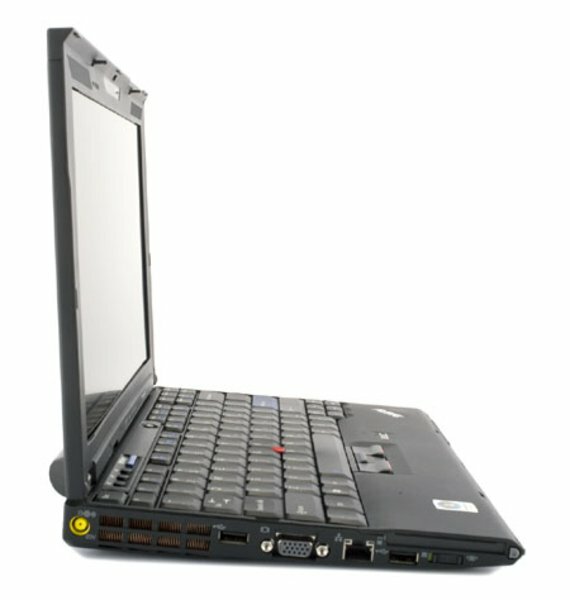 The X200 improves upon the X61 in several significant ways without diminishing its number one selling point: weight. Most notably, the transition to a widescreen manages to nudge the notebook just out of the size category that might be called “annoyingly small” and into a more comfortable range. The $1,199 USD price tag places it a cool grand below the X300, and with more grunt under the hood, too. Due to its lack of an optical drive, we probably wouldn’t recommend buying the X200 as a sole do-it-all machine, but for lightweight travelers, this systems hard to beat. Today we’re putting the Lenovo x200 through it’s course. The x200 is the smaller brother to the now infamous x300, and an upgrade to the x61 series of earlier years (best in class for ultraportable as far as we’re concerned). Although being smaller, and lacking an optical drive, the x200 doesn’t seem too tiny nor as thin as the x300, and developing most of it’s hardships with the battery bay and standard tracking devices. Of course, this is a very near end pre-consumer level model we’re reviewing, so I’m sure things have gotten ironed out as soon as this review hits the shelf as far as fit and finish is concerned (more at the end of the review on that). The X200 feels tough as nails, thanks to a magnesium alloy lid and bottom. A crash-proof solid-state hard drive up to 64GB is optional (we got a standard 160GB platter-based hard drive, however). For future upgrading the X200's two memory chip slots are located in an easy-to-access bottom compartment, and the hard drive can be removed from the right side of the unit after unscrewing one bottom screw. A full array of wireless communications options come built in: 802.11n Wi-Fi, Bluetooth, WWAN, and even GPS. Before the end of the year Lenovo should offer WiMax, too--and a tablet version of the X200. But if all you need is the world's best travel laptop right now, you're looking at it. 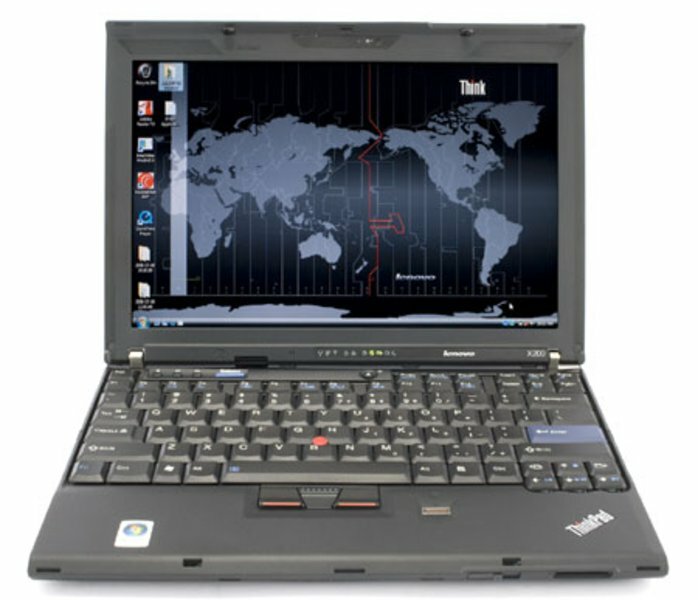 While the X200 has a lot going for it, it does necessitate a few tradeoffs typical of the ultraportable class. First and foremost, unlike the pricier X300, the notebook doesn't have a built-in optical drive. You'll have to invest in a USB-based external drive or opt for Lenovo's snap-on UltraBase accessory, which adds a modular bay for a CD-RW/DVD-ROM, DVD±RW, or Blu-ray drive or a second battery second hard disk. 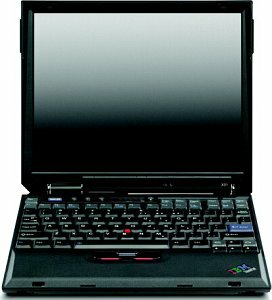 The small size of the X200 also means there was only room for the familiar ThinkPad TrackPoint pointing stick, not the touchpad most portable users have grown accustomed to. And while the notebook's built-in speaker is fine for personal use, you'll want to rely on your projector's speakers if you're given a presentation in any but the smallest conference room. The ThinkPad X200 is a very worthy successor to the ThinkPad X61. The amazing battery life capabilities and cool and quiet running performance are real highlights. Having so much power in a small package while still maintaining a cool and quiet computing experience further adds to the impressiveness there. The ThinkPad X200 is also durable enough to last a very long time even with the most abusive of owners, shoving the X200 in a tightly packed bag and then physically forcing it under seat 21A on the plane won't cause this laptop harm. The downsides are that there's no optical drive like you get with the ThinkPad X300 and no touchpad for those that prefer that style of input. The removal of FireWire and then no built-in DisplayPort, HDMI or DVI port could be a deterrent for some. The all black and professional look has stood the test of time and looks both clean and professional, we like it, but those business people demanding their IT department to support the Apple iPhone might just care about how cool their laptop looks too. The X200 is a classy business notebook that leaves little to complain about, especially considering its price point. 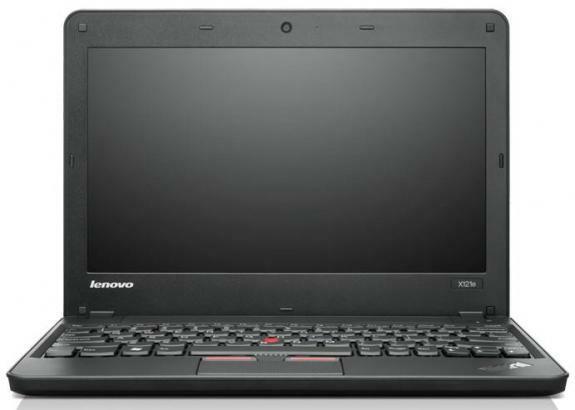 The X200 will be available on August 5 directly from Lenovo and through channel resellers. The ThinkPad X300, introduced last February, is easily Lenovo's greatest gem. But though it's as close to an impossible act to follow as an ultraportable can get, it has one major flaw—it costs $3,000! This was done, presumably, to give its other X-Series siblings such as the ThinkPad X200 ($1,199, direct) room to flourish. The X200 isn't likely to trump the X300 anytime soon, but it does have several things that make it a terrific business ultraportable. The wide-aspect Lenovo ThinkPad X200 delivers outstanding performance numbers without sacrificing battery life. Ultraportables are the cool if expensive segment of the laptop world, first witnessed as lightweight notebooks for the business user. Chinese company Lenovo is now a standard-bearer for such high-end corporate laptops, continuing the trusted ThinkPad line after it bought IBM's PC manfacturing division four years ago. 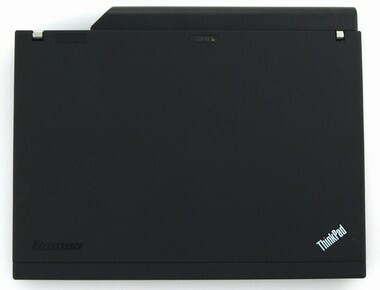 The Lenovo ThinkPad X301 has a built-in optical drive and several data ports, where most ultraportables are lacking. Conservative businessman may find what they're looking for in this traditional yet lightweight laptop, although it is overpriced for the build quality and performance it delivers. Sublime build quality and excellent mobility, but it comes at a steep price. Costing over £2000, the ThinkPad X301 is for the very wealthy business user, but that doesn't prevent it from easily being one of the best ultraportables we've seen to date. With its incredibly thin chassis, light weight and great usability, it comes the closest to matching the Sony for sheer portability, and does so without any compromises. 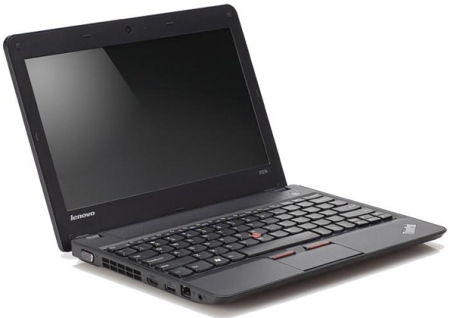 The Lenovo ThinkPad X300 was a breath of fresh air when it was released early in 2008: a sub-1.5kg laptop that somehow included a sizeable screen and optical drive. Now, just over a year later, we see the next step in its evolution. There are no fundamental changes with the X301, just nips and tucks designed to make it better suited to life on the move in 2009. An incremental upgrade from the ThinkPad X300, and ultimately a little disappointing. For this price, we expect close to perfection, and the X301 doesn't quite deliver. Lenovo's ThinkPad X301 is not really much different then its predecessor on the outside. On the inside though, Lenovo has made a lot of changes that gives this ultrathin laptop a significant power boost without sacrificing battery life. This is clearly a laptop that the business traveler can use as a primary machine, as long as one can live with the limited storage solid state drive and lack of ExpressCard or flash memory slots. Yes, it’s expensive, and it remains a million miles away from the MacBook Air when it comes to pure desirability but, as with the X300, the ThinkPad X301 is a solid choice and a far better machine for the business user. Along with the incredibly thin chassis and light weight, this is every bit as tough as larger ThinkPad models, and is a machine tailor-made for a life on the road. Think carefully about how much you need that SSD, however, as the regular hard drive model looks like a bargain in comparison. As contrast to competition like Apple Air, Lenovo ThinkPad X301 isn’t fashion statement, but instead, it does the job that it is intended for perfectly. Built quality instills confidence and it seems that all lucky owners of Lenovo ThinkPad X301 got their long term trusty business companion. It can even withstand moderate abuse in form of drops and bumps along with accidental liquid spills since keyboard is liquid spill-proof. With compact dimensions and weight of barely 1.4kg and 2.5cm thickness, Lenovo ThinkPad X301 will be anyone’s fellow-traveler completely adopted for business users. Because of its low power consumption and SSD this notebook doesn’t heat up too much and there will be rare occasions when you will hear fan working. As far as we were concerned, Lenovo’s ThinkPad X300 was already a stellar ultra-portable Windows-based laptop. Okay, so it has no FireWire or DVI ports and opting for a solid state drive (SSD) added a lot of extra cost, but the machine offered performance, battery life, quality, reliability and functionality at a great price. The best Windows-based ultra-portable laptop just got a whole lot better. The 13.3-inch ThinkPad X301 offers all the benefits of its predecessor, plus better performance. It's pricey, but worth the expense for highly mobile users seeking a thorough feature set in a sleek, lightweight case. The ThinkPad X301 boasts the same 13.3-inch display, 3.3-pound weight, and 0.7-inch thickness as its predecessor, the ThinkPad X300. In fact, with the exception of a new DisplayPort connector, the X301's case is essentially identical to that of the X300, right down to the built-in DVD burner. The 13.3-inch ThinkPad X301 offers all the benefits of its predecessor, plus better performance. It's pricey, but worth the expense for highly mobile users seeking a thorough feature set in a sleek, lightweight case. The ThinkPad X301 takes the original X300 and adds a nice performance jump with the new Intel SU9400 Montevina family processor plus adds a DisplayPort to the mix. Also available now is a 128GB SSD option, though this costs $400 more than the standard 64-bit SSD, if you're buying the X301 price probably isn't too much of a concern for you. The $3,000 laptop market is certainly an exclusive group of buyers, but for many business people their laptop and Blackberry are a lifeline to getting work and deals done, and thereby money made. So at the end of the day if you're a globe trotting executive that needs a reliable and top of the line work tool, the cost of the X301 can be jusitifed and this slim form factor machine can serve you well. What's the most expensive laptop you can buy—other than that million-dollar, diamond-studded laptop that Luvaglio announced last year? You could trick out the Apple MacBook Pro 17-inch and end up with $3,000 worth of goods. The Lenovo ThinkPad X301 is the most impressive ultraportable in its class. Too bad only a high-paid executive can afford one. When delivering a verdict on the X301, I have to echo my thoughts about the X300: this is an impressive system that demonstrates an ideal balance of portability and features. There is no question that it is expensive, but as dream notebooks go, this one is decidedly on the practical side. The 13.3-inch display looks quite good, but it also allows for multitasking, something that you don’t tend to see on systems under the 3.5 pound mark. Additionally you get an optical drive, a feature that is not as crucial as it once was, but remains important for some users. The X301 may not be as flashy as some other executive notebooks, but it has more features than most of them and the price, while prohibitive, includes a 64GB SSD, so we know why it’s high. The battery life could be better, but it is acceptable if you are packing the 6-cell. There are smaller, thinner, and lighter systems available today, but few can match the overall package that we see in the X301. At $2,920, the Lenovo ThinkPad X301 is a pricey, albeit excellent, lightweight business machine that has the security, wireless options, and connections that mobile professionals crave. If you don’t want to make the splurge, the Sony VAIO VGN-Z530N is another stylish business machine that starts at a far more wallet-friendly $1,999. But the X301 combines all the business features you’ll need with the sleekness of a MacBook Air. You just might want to plop down the extra dough for the extra three-cell battery to make this fine notebook one that can last your entire workday. Elaborately Flexible. Lenovo's ThinkPads have already always had a good reputation in business circles. Lenovo also makes so-called "pen operated laptops" for more specialized application fields. 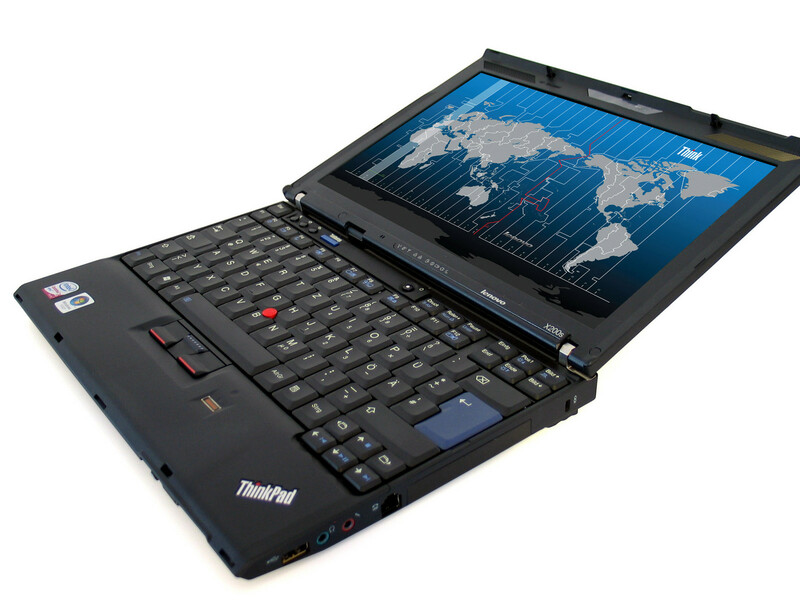 The ThinkPad X200 is such a notebook, better known as a "tablet PC", and costs over 2000 euro. We will reveal if it's worth purchasing in our review. The Lenovo ThinkPad X200 Tablet's small size, light weight, good battery life and integrated 3G model make it a great choice for anyone who needs to work and stay connected while travelling. The tablet functions work very well for general system navigation and web browsing and handwriting recognition is excellent. It's an expensive piece of kit, so it's only for those of you who require excellent portability and tablet functionality. The Lenovo ThinkPad X200 Tablets we reviewed performed very well in almost all categories. <st1:place w:st="on">Battery</st1:place> life was excellent with the 8-cell battery, reaching 8 hours and 48 minutes on the sunlight readable version, and 5 hours and 32 minutes on the touchscreen model. Screen quality on both models was phenomenal, with the sunlight readable display being one of the best screens we have ever seen in our office. Not only was it useable outdoors, but color saturation was high and viewing angles were perfect thanks to the IPS panel. Windows XP Tablet Edition put tablet PCs on the map. Vista improved its handwriting recognition. Now, Windows 7 adds multi-touch. Is 2010 the year tablets earn their mainstream credentials? Well, that's up to tablet makers like Lenovo. The tablet pioneer has forged its reputation with its X200 Tablet series, which has few equals. The ThinkPad X200 Tablet (Multitouch) ($2,000 direct), if you haven't already guessed, adds multitouch capabilities. Multitouch isn't for everyone, but takes absolutely nothing away from the Lenovo ThinkPad X200 Tablet's wonderful tablet experience. Priced at $2,323, the ThinkPad X200 Tablet is yet another excellent business machine from Lenovo. It contains all of the security, durability, and performance you’d expect from the company, in addition to smooth tablet functionality. If you prefer pen inputs complementing your normal keyboard strokes, this tablet makes for a compelling choice. Netbooks? No thanks! Mini-notebooks, as before, define the image of the current retail charts. Therefore it can't be excluded that even die-hard business users won't come into temptation in view of the partly very low acquisition price. With high requirements on for instance input devices or ports, most mini-notebooks do not look particularly good, though. Lenovo wants to fish with the ThinkPad X200s exactly in this target group for customers. Lenovo’s X200s has qualities we’ve come to expect from a ThinkPad—and that’s a good thing. Its magnesium alloy chassis is wrapped in the line’s signature matte black finish, making for a notebook that feels sturdy and looks serious. 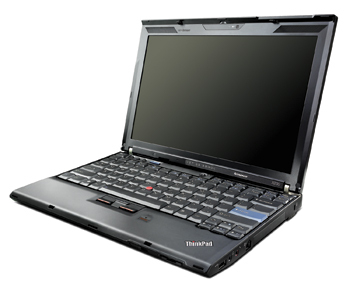 The upshot is that the X200s is portable, sturdy, and up to the task of your average workload. It’s also $500 less than its competitors. While we could certainly take that money and buy Lenovo’s docking station with an optical drive for around $340, or buy an external DVD burner for even less, we prefer to have the whole kit-and-kaboodle in one complete package. The ThinkPad X200s offers a few premium features over the X200 that do make it more desirable as a travel laptop, but you'll have to carefully assess whether the $500 price premium of the X200s over the X200 is worth it to you. The higher resolution screen and lighter weight of the X200s are definitely nice to have, and the performance is so close between the X200 and X200s that it's not even worth considering the difference. The battery life achieved with the X200s isn't much different to the X200 in our testing, you'll get about 9 hours with either if you turn off wireless radios and dim the screen. Is having an extra three hours of battery life worth $530? If you’re a fan of Lenovo’s ThinkPad line, that’s what you’ll have to ask yourself when deciding between the X200 and the X200s. 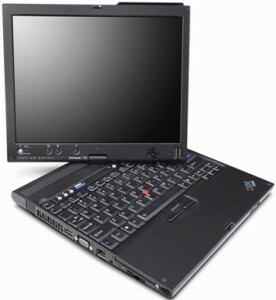 True, the $2,078 X200s doesn’t have the same performance as the X200, but you’re likely not to notice in day-to-day use. Everything else that a frequent traveler could want is here: a durable design, excellent keyboard, and a host of security features. We just wish the X200s included a mobile broadband option and webcam like its cousin. The $1,659 ThinkPad X201s offers an industry leading combination of power, generous screen real estate, and endurance that road warriors will love. Unfortunately, if you’re interested in doing video conferencing, you’ll have to look to such systems as the ThinkPad X201. For practically the same price, that ultraportable offers better performance and a webcam. Even lighter? 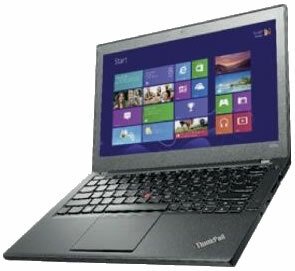 With its Thinkpad X201s, Lenovo offers a lighter 12 inch Thinkpad that can serve with current Core ix hardware. Find out more about its characteristics and mobile qualities in this detailed review. The Lenovo ThinkPad X121e 3045 is a practical, portable laptop that has a lot to offer business users – especially those that travel and work in cramped conditions like aircraft and trains. The keyboard and touchpad took some getting used to, and the lack of an internal optical drive could be a deal breaker for some. It does come at an attractive price for the build quality and essential features available. The Lenovo ThinkPad X121e is a lovely little laptop. It's great for general all round computing, and with a suggested battery life of up to 9.3 hours it looks to us like a winner. 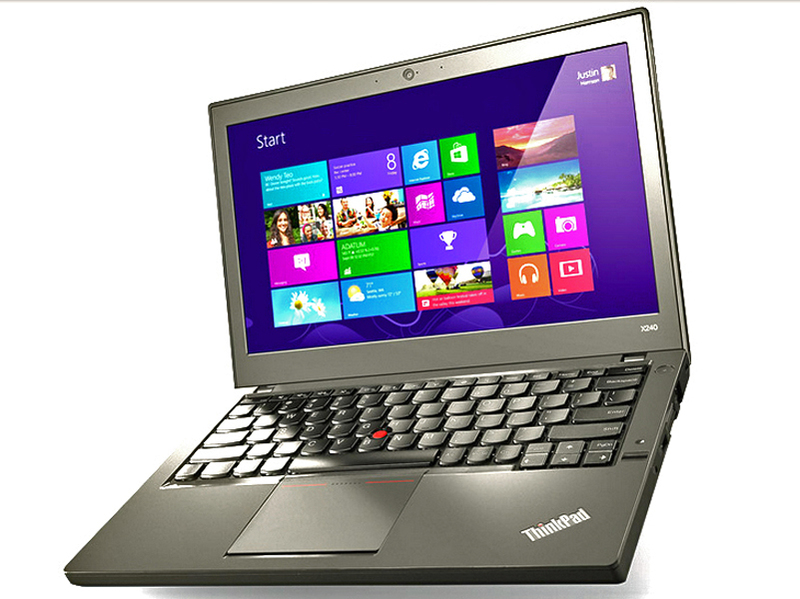 The Lenovo X121e is an 11.6-inch ultra-portable with a Core i3 processor and a matte screen. Perfect for professionals on business trips, this laptop is also a good companion for anyone else who moves around a lot and does a lot of document work and Internet browsing. While it won't satisfy those looking for absolute performance, the X121e is a good netbook alternative. While there may be many more convertible laptops on the horizon, the Lenovo ThinkPad X230t is definitely the easy choice for those who want productivity for work and the flexibility to pick up and go. It takes all of the capability of our business ultraportable, the Lenovo ThinkPad X230, and puts it into the same form factor as our previous Editors' Choice for Windows 7 tablets, the Lenovo ThinkPad X220 tablet. Combine the two, and you get the Lenovo ThinkPad X230t, our new Editors' Choice for convertible Windows 7 laptops in the workplace. 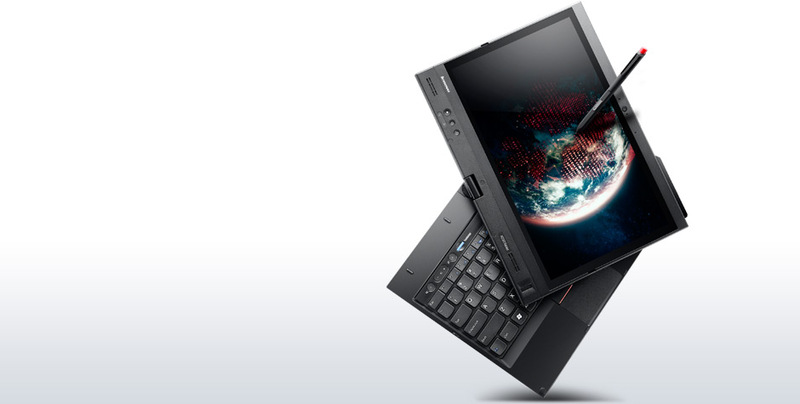 The Lenovo ThinkPad X240 is the latest in Lenovo’s range of ultraportable business devices. This 12.5 inch machine weighs in at 1.3 kg. The battery life is claimed to be a stellar 17.4 hours, but only if the bigger 6-cell battery is chosen over the 3 cell. The 3 cell battery is purported to last approximately 8 hours. With a range of 4th generation processors from the Intel Core i7-4600U paired with the Intel HD4400 that can go up to 3.00 GHz to the decidedly more sedate Intel Core i3-4010U with 1.70GHz, there are enough variations to suit most individual uses. Gamers will not find anything to interest them here unless playing only lightly demanding games is the purpose. For portable work uses, this machine can handle it all with ease. There is the option to go with Windows 8 Pro, Windows 8 or even Windows 7 Professional, for those concerned about compatibility issues. The display is a brightly colorful IPS screen which sports a resolution of 1366 x 768, suitable for a screen that is 12.5 inches big. However, it may show up as grainy during use as an entertainment device. One thing that is constant with machines in the ThinkPad line, is the durability of the machines. A spill resistant backlit keyboard, a magnesium bottom, an internal roll cage and a carbon fiber lid all combined with great engineering suggests that this is a difficult machine to destroy by drops, knocks, spills, extreme temperatures, atmospheric pressure, or vibrations. Overall, this is slated to be one of the best options among the ultraportable business machines that are available today. The X240 is for those of you who want larger laptop amenities in a small chassis, from the internal upgrade possibilities to plenty of ports. It's rare to see wired RJ-45 Ethernet on a 12.5" machine for example, and the Lenovo also has a mini DisplayPort, VGA, two USB 3.0 ports, 3.5mm combo audio, an SD card slot and SIM card slot (for models with 3G/4G). Unlike the X230, which merely substituted the traditional (and excellent) ThinkPad keyboard with a nearly-equivalent AccuType Chiclet-style model, the X240 brings some pretty striking changes to the table—and not all of them are necessarily positive. For starters, in the definitely negative category, there’s the new clickpad design, which is difficult to operate, cheap-feeling, and rickety in comparison to previous models—hardly a suitable replacement for physical buttons. In addition to that, we’ve also lost another USB port (bringing the grand total to just two USB 3.0 ports), and the once-fabled 1080p screen option appears to have vanished into thin air (to be continued…). The build is also notably compromised in a few areas, with some un-ThinkPad-like creakiness in the center near the touchpad and between the hinges at the top of the base unit. It’s still great overall, but not as great as it once was. Lenovo's ThinkPad X240 is a 12.5in Ultrabook that's small and sturdy, yet comfortable to use. Most importantly, it's a very reliable machine, and it has a dual battery system that allows for a very long run time away from an outlet. It's one of the best little business machines on the market. You might think the ThinkPad X240 is too thick and too heavy to qualify for Ultrabook designation, but it’s only 0.79 inches thick and it weighs just 3 pounds. And there’s a very good reason why the X240 doesn’t taper to a knife edge like the X1 Carbon does: The X240 is outfitted with two batteries and a battery bridge that enables you to swap a depleted battery for one that’s fully charged without turning the machine off. That’s slick. Messing with a winning formula is always a dicey proposition (just ask the New England Patriots), so in updating its popular ThinkPad X series ultraportable, Lenovo took a measured approach. The latest-generation ThinkPad X240 delivers the features and durability you'd expect, along with astonishing battery life. The Lenovo ThinkPad X240 is a powerful business laptop sporting a Core i5 Haswell CPU, a speedy solid-state drive, and a 12.5-inch IPS touch-screen display. You'll pay top dollar for this well-built ultrabook, but it'll give you over 15 hours of battery life in return. The ThinkPad X240 offers plentiful configuration options, tried-and-trusted design, solid build quality and a twin battery configuration that delivers long battery life. Overall, this is an excellent business ultrabook. 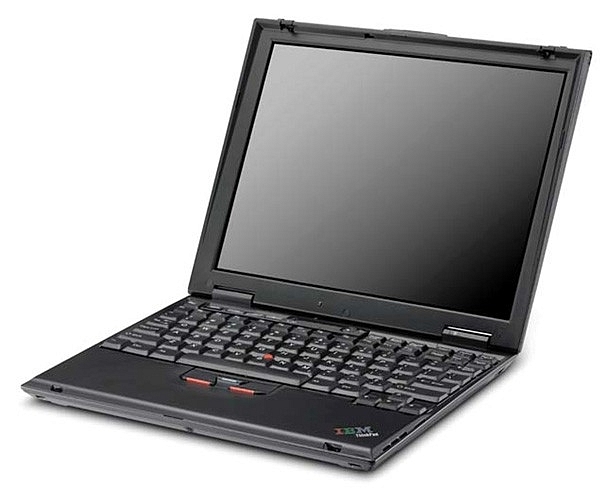 The Lenovo Thinkpad X240 is a classic. We’ve never tested something with this much battery life potential and the connectivity (hard and radio) along with the excellent working fascia make it a compact workhorse that can be relied-on. It’s not stylish and it’s even a little heavy for an Ultrabook and maybe, maybe Lenovo took a step back in terms of touchpad design but those are the trade-offs you’ll have to consider. We would recommend going for an SSD-based version unless you really need that storage capacity. We counted 5 screen/touch/IPS options and as always, this Thinkpad comes with various security options along with the usual CPU and RAM choices. Windows 7 versions come, we believe, with Windows 8 licence so you don’t have to make that choice today. Take note of the fan noise report if you’re doing performance work in quiet areas. There’s a lot to like about the X240—especially if Lenovo delivers on the optional 1080p IPS panel in the near future. The company has tweaked a few things here and there, mostly for the better (although we still miss the rubber-like lid), while leaving much of what was already excellent about the X230 alone. The all-new Lenovo ThinkPad X240 is a lightweight business-oriented laptop that delivers extremely long battery life, decent performance and a touch screen display. For business-use, the design is absolutely perfect but it does have a lower than average screen resolution. With powerful performance, a durable design and more than 20 hours of battery life, the Lenovo ThinkPad X240 is the business ultraportable to beat. Productivity-minded users looking for a better typing experience should consider the 14-inch ThinkPad T440s, which weighs 0.6 pounds more and lasts only 14 hours on a charge. The Lenovo ThinkPad X240 is a small, robust, and all-around solid laptop that offers everything you need in a small system without being boisterous or in your face about it. The feel of the laptop is excellent, being a nice mixture of lightweight and small without coming across as flimsy or fragile. The display is solid on its hinges, as well, and the keyboard has the ever-popular strong report that ThinkPads are known for. At no point did I have to battle with the trackpad, which is something worth noting considering how often a trackpad has small peculiarities to which one must adjust. Even under heavy usage, the computer remained fairly cool and the fan, though running, was only audible when putting it up near your ear. For me, that price is too steep when competitors like the MacBook Air offer all-day endurance in a larger, lighter frame. The ThinkPad X240 is inarguably an impressive display of what's possible in mobile computing today. You'll find few, if any, other laptops that offer this many hardware features at 12.5 inches. But what good are those features if the product struggles to compete elsewhere? For one, the typing experience on a laptop is paramount, because you're ultimately stuck with what you get. In this regard, the X240 fails to live up to Lenovo's legacy, at least with the unit I've been typing on for the past week. Whether you're a long-time ThinkPad enthusiast or a newbie, the X240 is an excellent example of why the brand has been so successful for so many years. Solid performance and a durable design make this ultrabook an ideal travel companion, and its incredible 15-plus hour battery life is hard to beat. A higher resolution screen would be nice, but considering this is a business-class laptop that's not really a deal breaker and doesn't prevent the X240 from becoming our newest Editors' Choice for business ultrabooks. Lenovo ThinkPad X240 – изменениям быть! Positive: Display options; comfortable keyboard and touchpad; decent battery life; quite reasonable price. Positive: 2 equiped batteries; good connection; good keyboard; thin and light. Negative: Narrow viewing angle of the display. With the MIL-SPEC and ThinkPad tags placed on the Lenovo ThinkPad X250-20CM001VGE, one can only expect a high performing rugged device. The chassis itself remains ultrathin and ultralight with a professional business look. 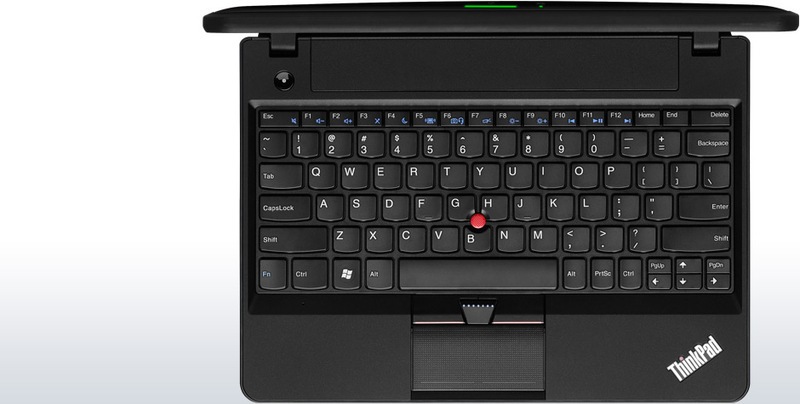 There is the classic ergonomic ThinkPad keyboard and Touchpad combination aiding with productivity. Users can either select from Windows 7 or Windows 8.1 depending on their compatibility needs. The Lenovo ThinkPad X250-20CM001VGE comes in graphite black and sports a beautiful 12.5 inch HD anti-glare display with good contrast and optional touchscreen capability. At the heart of the laptop is a 5th Generation Intel Core i5-5200U processor clocked at 2.7 GHz, a maximum of 8 GB RAM and an Intel HD Graphics 5500 GPU. There are multiple storage options with various capacities from HDD to SSD. Certain SSD variants come with the feature to fit in M.2 drives and depending on the intended workload, users can compromise between response speeds versus capacity. Other features besides the glass-fibre reinforced chassis are HD audio by Realtek, the TrackPoint system, an integrated 720p HD webcam and the optional vPro Intel Ethernet connection. The Lenovo ThinkPad X250-20CM001VGE also comes with two USB 3.0 port, a card reader, a VGA port, a dock connector and a mini DisplayPort. There are two battery configuration; either a 3-cell pack or an extended 6-cell pack. Considering all the features it has to offer, we deem the Thinkpad X250 as a worthy successor to the X240 and if you are inclining towards a well-rounded business machine with high portability and neat build quality, then consider getting your hands on the Lenovo Thinkpad X250. The Lenovo ThinkPad X250 is another solid entry in the ThinkPad lineup, and a competent successor to last year's Lenovo ThinkPad X240. The ultraportable design is both lightweight and durable, with classic ThinkPad stylings and a healthy collection of features. It's a little light on storage, but the performance ranks alongside our top picks in the category, and the swappable battery system is a must for anyone who may need to use their laptop continuously for long days on end, such as a trade show. The Dell Latitude 14 7000 Series (E7450) remains our Editors' Choice business ultraportable, due to its slightly better performance, but the Lenovo ThinkPad X250 is a solid alternative that (in this configuration) sells for less. The ThinkPad X250 hits the bullseye on the elements most important to business ultraportable buyers: battery life, portability, security, and durability. Its standout creature comforts—killer keyboard, available HD screen, unique conferencing features—sweeten the pot even more. It's not cheap, but it's a five-star Editors' Choice pick. Aside from a less than reliable fingerprint reader, questionable function key placement and third-party apps that need vanquishing, I have no problem recommending the Lenovo ThinkPad X250 to anyone, business user or not. The hot swappable batteries are a stroke of genius and don’t weigh the machine down or make it feel overly thick. Whenever you do switch out a battery it feels more like you’re refueling a futuristic stealth jet without landing than completing a mundane task. I've been a fan of the Lenovo ThinkPad Yoga X series for many years. This year's refresh with the latest Intel processors and the revised trackpad with hardware buttons keep the X250 fresh and appealing for those who need a durable yet highly portable laptop with a fantastic keyboard, good trackpad and long battery life with the 6 cell battery. The same rugged elements are all included in the latest model, as well as the relatively portable and svelte design. If you enjoyed the X240 and like having the newest thing, updating to the X250 is worth the jump. If you're new to this line up of laptops entirely, however, and you're looking for something with power and long battery life, prepare to be amazed. Conversely, it's not as heavy as a workstation, and it's more versatile than consumer Ultrabooks. So, it's up to you: if ports and a hot-swappable battery are more important than workstation-class performance or cutting-edge consumer laptop design, then the Lenovo ThinkPad X250 is right for you. But that's sure a lot of "ifs." Intel Graphics Media Accelerator (GMA) 4500MHD: Onboard (shared Memory) GPU built in the GM45, GE45 and GS45 chipset (Montevina). Because of two more shaders and a higher core clock, much faster than the old GMA X3100. Still not advisable for gamers (DirectX 10 games not playable or only with very low settings). The integrated video processor is able to help decode HD videos (AVC/VC-2/MPEG2) , e.g., for a fluent Blu-Ray playback with slow CPUs.ATI Radeon HD 3200: Onboard (shared Memory) graphics chip (on RS780M chipset) based on the HD 2400 graphics core. It also features the UVD video engine to decode HD videos. Beware: Under Windows XP the HD 3200 may have no 2D accelleration because of a driver problem.Intel Graphics Media Accelerator (GMA) HD Graphics: Onboard graphics card that is built in the new Arrandale CPUs (Core i3 / i5 / i7 Dual Cores). Depending on the model and Turbo Boost, the GMA HD is clocked between 166 and 766 MHz.Intel HD Graphics 3000: Integrated graphics card in the Intel Sandy Bridge processors (Core ix-2xxx). The HD 3000 is the faster (internally GT2 called) version with 12 Execution Units (EUs).AMD Radeon HD 6310: Integrated graphics card in the Zacate netbook processors (e.g. E-350 and E-240) featuring an UVD3 video decoder and no dedicated memory.Non demanding games should be playable with these graphics cards. E-350: Dual Core low power processor with an integrated graphics cards. The processor is on a level with Celeron SU2300 (1.2 GHz) and the GPU part about as fast as an Nvidia ION (2). 80.39%: This rating should be considered to be average. This is because the proportion of notebooks which have a higher rating is approximately equal to the proportion which have a lower rating.» Further information can be found in our Notebook Purchase Guide.